The New American Commentary collects the best in contemporary evangelical scholarship in a series that examines the entire Bible in depth. The New American Commentary consistently supports the inerrancy of Scripture and contributing scholars all hold explicit commitments to Scripture’s infallibility. Its distinctive perspective is a focus on the theological ideas springing from Scripture. 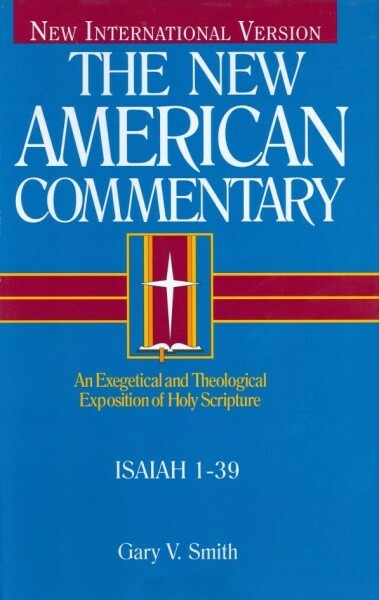 Along with the textual grounding of an expository commentary, the New American Commentary also focuses on the broader strokes of theology developed by each book, and interprets each book as a theological unity. Rooted in conservative theology, the New American Commentary also directly engages a wide range of theological and exegetical issues raised by contemporary biblical scholarship. Based on the NIV Bible text, the New American Commentary offers a verse-by-verse analysis of the Scriptures. A mid-level commentary, its scholarship reflects comprehensive biblical research in original languages, but avoids overly-technical prose to maintain accessibility to readers without a seminary background.